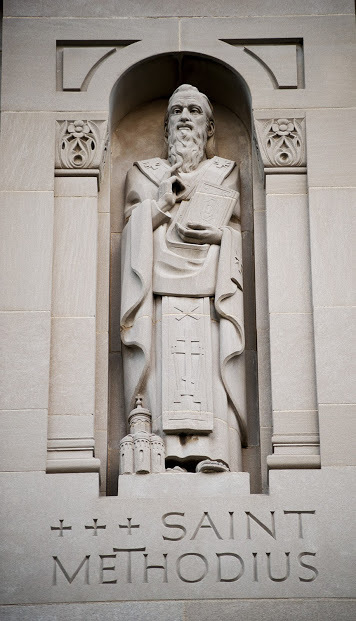 I struggle with Catholics embracing scripture in a way that leads to casually tossing around interpretations and application based in the individual’s emotion without concern for tradition. One day, as I heard Song of Songs yet again impaled on the altar of personal emotion, I was struck by how much the person speaking loved God and the Bible. Since love is what allows knowledge of God, perhaps the ones who so easily speak of their personal truth found in scriptural phrases know far more about the Bible than the greatest scholars. Perhaps her passionate reading of this ancient text was at least as valid as Saint Bernard’s since she loved so truly. Then one day I noticed that my husband had posted a poem on a social networking site. It was liked by people who knew that the day was significant to us for reasons described in words which are included in the poem’s first line. But the poem itself had nothing to do with our situation. When I asked, my husband confirmed that it was a coincidence and he had not considered that his friends and family would think he was posting a literary commentary on the significance of the day. I wondered then about the love of those who responded to the poem as if it were my husband’s expression of the importance of this overwhelming time. Is it really love if you’re making something up based on how you’d feel, and not even bothering to read carefully to see what the words mean? What is the value of love that celebrates one line without pondering what it might mean to the beloved? God can speak through any beautiful text, so what’s the point of focusing on the Bible if it’s only about the passion of the person reading a particular passage without context history or tradition? I don’t have answers. I am convinced that the love of those who daily delve into scripture with joy is worth far, far more than my hesitant poking at a hope for truth. I can also see that Biblical scholars often have little connection to God left in their amazing knowledge of important facts. It’s challenging for me to accept that those who love God so much are satisfied with a reading of the Bible that is no closer to truth than my husband’s friends’ liking of the poem he quoted. What does it mean when we ignore significant parts of a book in order to happily skim off the bits that fit with our ideas of what it should be? And yet I know that passionate skimming is of much greater value than exhausted ignoring. I value insights you are willing to provide. I am, perhaps, one of the more annoying people on Twitter in that I take everything and nothing with utmost seriousness. I realized a long time ago that Twitter was as perilous for my soul as television if I responded to people as if they were less than real. If I systematically ignored either clear requests for prayer or subtler cries for help, then I was slowly damning myself. Of course I frequently miss things and respond incorrectly, and I’ve sometimes closed Twitter after the third random request for prayer in a row because I had opened Twitter for mindless reading, not lengthy intersessions. But I have somehow so changed my interaction with this funny medium that I didn’t hesitate to respond to a random Tweet as if it were a serious personal question from my spiritual director. Do you know how much God delights in you? I felt no shame in my fast admission that I have no concept of how much God delights in me. After all, it seems likely that there are very few who actually grasp this, and there is no advantage in me pretending to be what I am not. But then, when @sayochia surprised me by responding equally seriously I realized for a moment how much is bound up in that truth and subsequently in whether or not one could possibly hold it for a time. I struggled profoundly with Lent this year because II was cut off from the sacraments and liturgy that I so desperately need. But it was perhaps a greater problem that when I did encounter God in those few moments of silence I was faced with the simple fact that I cannot Drink the Cup. Jesus, the Crucified, is just one of the objects of my wishes and desires. The world is drowning in sorrow and I have no reason to think that God will wish to wipe any of it away in my time and understanding. I have not been called to hope in God’s merciful intervention but to calmly accept the grace of a love which may mean the most profound of human pain. There was a brief moment on Good Friday when I almost had my answer and almost accepted it all. 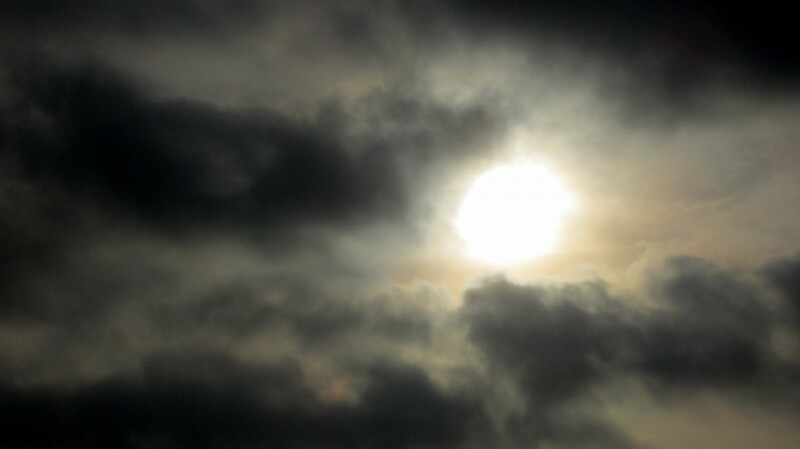 But it was fittingly fleeting for that dark day. And now I am gloriously faced with the solemn knowledge that the lives of all those I love would be so completely different if only we were aware, if only I knew, how much God delights in us. The truth that I must desire only Jesus and to bear his cross with joy, and the truth that God delights in me seem contradictory in a superficial way. Still it is clear that I will only ever hold both or neither. I have nothing, or, more correctly, I know nothing in the truest sense, but perhaps somehow I will learn the hope of emptiness from all of this. Someday. I die a little inside when I see good adult Catholics judge teens at mass for not behaving in a way that the adult deems appropriate. I despised Sundays as a teen. The selfish adults who believe that church exists to serve as their well-ordered club did nothing to draw me toward God. How could they draw me to God when all they really cared about was church as their place of perfection? These days I hold my breath just a little when I go to church, praying that I will be surrounded by people Christlike enough to know that teens must be welcomed rather than scolded. If someone were to watch my teen sister as we walk in to mass, they would see her ignore the holy water and move into the pew as if it were a seat at a movie theater. They might notice her reading a book at times, or even taking a drink from her water bottle. When it came time for the sign of peace, they would find her smirking as she reluctantly shook hands. That is what they would see. What they should know though, is that it does not matter what they think they see, it is impossible to ever really see what someone else is going through. My sister is not Catholic. She is still figuring things out in terms of faith. She comes to church with me only because she has a medical issue which requires that she not be alone. Her genuine, shy smile just so happens to look like a smirk. She does not encounter Christ directly through the Eucharist at mass, but she does encounter God through each person who graciously chooses to welcome her presence at church. It does not matter whether it is a teen’s first time in church, or if they were confirmed last week after growing up in the pews. What matters is that you never truly know what is going on inside someone else’s head. 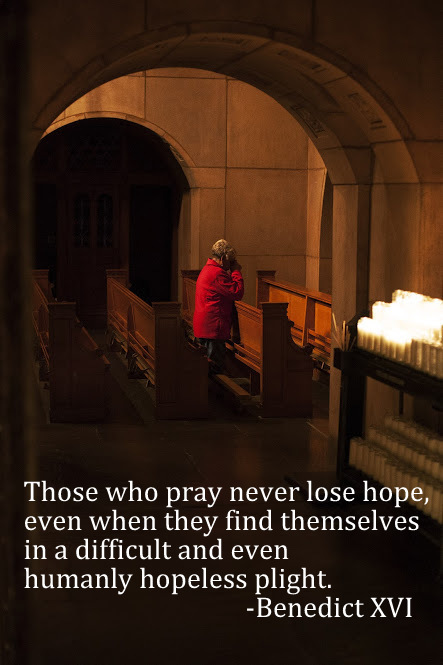 And in the case of a teen who would rather not be at mass, it is of utmost importance to pray for them and try to make church clearly a place of love. You don’t know how much a teen may be encountering God at church, and the only thing that you can control is whether they encounter God through you. It is clear that Pius IX had partial epilepsy resulting from a combination of anoxia from an accident at a young age and developmental anomalies, as evidenced by hemiplegia and facial asymmetry apparent from his photographs. 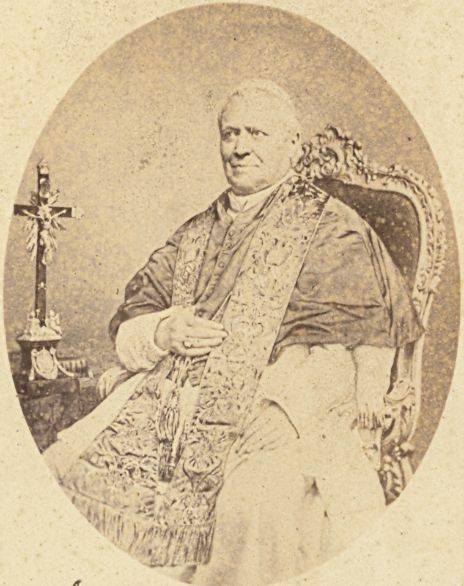 Epilepsy clearly affected Pius IX’s choice of vocation and could have had a role in the historical context of Catholic doctrine. Epilepsy greatly influenced Pius IX’s career. Because of his seizures, Pius IX’s goal of becoming a Papal Noble Guard was abandoned. As a result, he entered into the priesthood, leading him to the pathway of church leadership. Interestingly, Pius IX had to be decreed seizure free before he could be anointed a priest. …approval of dogma on the immaculate conception of the Virgin Mary was inherently Pius IX’s thanks to the Virgin Mary for having cured him of his epilepsy. Epilepsy is largely ignored in my little corner of the Catholic world and so I find it astounding to think of a future pope having limitations placed on his celebration of the mass due to the disease. 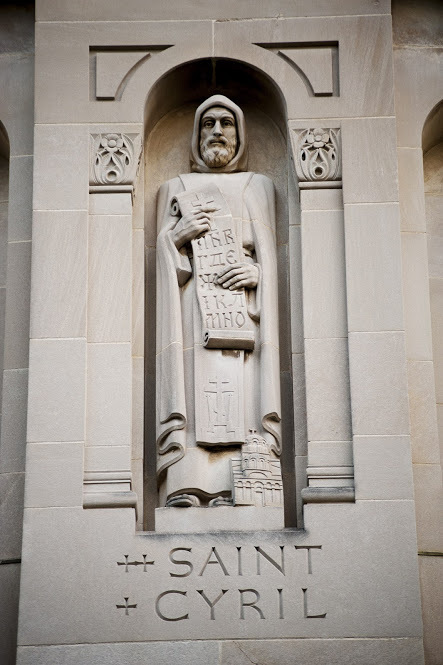 It seems that I must return to reading the Saints daily. There are so many things that I’ve never known, and yet that mountain can barely be seen because it is blocked by the more immediate pile of truth that I once knew but have forgotten. Many times [the Lord] leaves [his own] in situations of such danger that they find no place to stand and do not find within themselves one hair of strength on which to depend. They are not able to benefit from favors they received from God in times past. They remain as though naked and in deep darkness, handed over to the persecution of their enemies. But suddenly, when they are not expecting it, the Lord visits and frees them. He leaves them stronger than they were before and puts their enemies under their feet. Where Is God When I Am In Pain? Where are you when I am in pain? Are you in the pain? Are you inviting me into it, gently coaxing me to find you in the midst of it? Where are you when I am in pain? Are you beyond the pain, urging me on to move past it to meet you on the other side? Where are you when I am in pain? Are you in those dearest to me, those who need me, the same ones whom I am not helping today because I cannot even help myself? How on earth should I live well in pain when I cannot even see where you are? You know the worst part about Ash Wednesday falling on February 13th? It means that February 14th is totally overlooked, and with it, the great Saint Valentine Saints Cyril and Methodius. They let pass no opportunity for increasing the existing faith among those who already believed, and they raised the hopes of those who did not yet believe. If only half of that could be said of half of us who follow them! Of course things never go too smoothly with Saints: “They were accused of acting in opposition to ancient customs and contrary to holy rites in making use of the Slavic language for religious matters. However, they pleaded their cause with such indisputable and noble reasoning that the pope and all the clergy praised them and approved their course of action.” Ah, how wonderful it is to be able to gloss over the struggles of our past as a Church and to celebrate what has been achieved! I have no doubt that I would choose Cyril’s life over Methodius’ any day. Cyril got to die early, known to this day as a monk. Methodius had to watch his brother die, and end up in exile while trying to run a troubled young diocese, as it were. 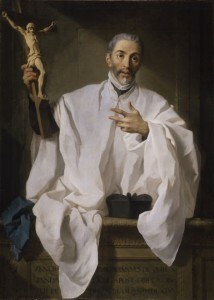 The story of his life reads as one unending battle to convert others and simultaneously defend himself against accusations that he violated tradition in his work of conversion. And after all of that they are still ignored by so many! O Lord, my God, you have created the choirs of angels and spiritual powers; you have stretched forth the heavens and established the earth, creating all that exists from nothing. You hear those who obey your will and keep your commands in holy fear. Hear my prayer and protect your faithful people, for you have established me as their unsuitable and unworthy servant. Keep them free from harm and the worldly cunning of those who blaspheme you. Build up your Church and gather all into unity. Make your people known for the unity and profession of their faith. 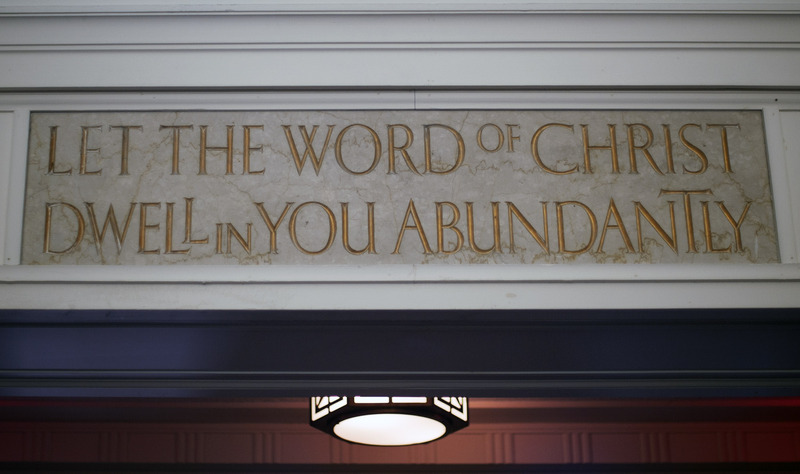 Inspire the hearts of your people with your word and your teaching. You called us to preach the Gospel of your Christ and to encourage them to lives and works pleasing to you. I now return to you, your people, your gift to me. Direct them with your powerful right hand, and protect them under the shadow of your wings. May all praise and glorify your name, the Father, Son and Holy Spirit. Amen.